The A-7D was the updated de-navalized USAF version of the very successful US Navy Corsair. Improvements to the D included; a licensed built version of the more powerful Rolls Royce Spey, M61 Vulcan cannon, improved ECM, larger tires and wheels, anti-skid brakes, improved navigation and weapons system, Heads-Up Display and increased armoured protection. The D could carry 15,000 lbs with a combat radius of 890 miles. A total of 459 Ds were built with the first flight in September 1968. Matchbox kits were done in a variety of colours to help them appeal to their target audience, which was the youth market. This boxing has three trees that consist of green, black and cream coloured plastic. These trees carry a total of 74 individual parts including a one-piece canopy (my preference in 1/72 scale). As was also common with Matchbox, the engraved panel lines are done with too much enthusiasm. Past builds has shown that a combination of sanding, using a rattle can for priming and picking a dark or disruptive camouflage pattern will work a minor miracle in the finished appearance! 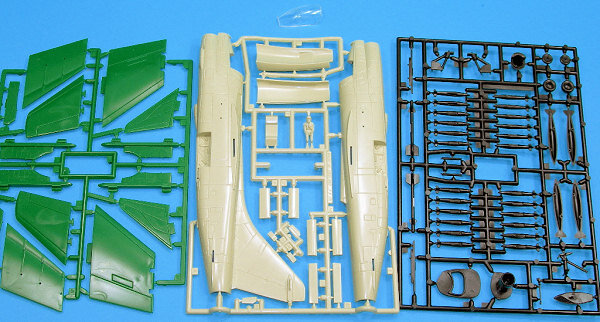 This kit has two sizes of bombs and Sidewinder missiles that fit onto the fuselage and wing stores pylons (raised panel lines). While the wings can be built in the folded position (correct for the USAF D? ), the cockpit is limited to a pilot in a very basic seat that attaches to the top of the intake tunnel. The main gear bays are framed in and have some raised detail, while the nose bay is open with the intake tunnel supplying a roof. Matchbox supplies adequate instructions that are easy to follow with the colours noted separately at the end of the sheet. I like the ‘FROG’ style full colour profiles on the back of the box and the ‘peek-a-boo’ window to entice the buyer. 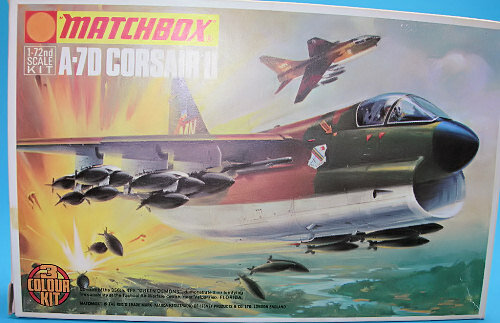 Two decal options are offered and both offer Corsairs in standard USAF SEA camouflage with the units being 356th TFS (Green Demons) and the 357th TFS (Licking Dragons). 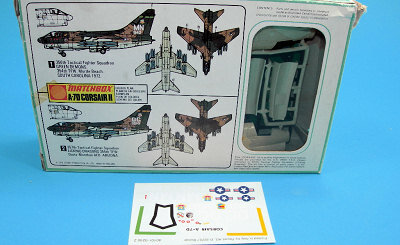 These must be from a different kit as the decals look very nice and are printed in Italy for Revell Germany.